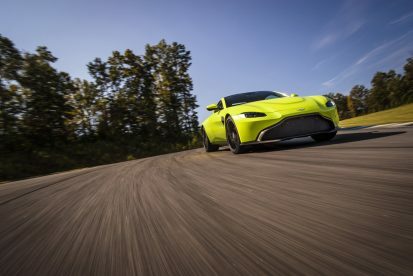 Aston Martin has taken the wraps off its latest Vantage, which replaces the entry-level V8 Vantage that has been with us since 2005. 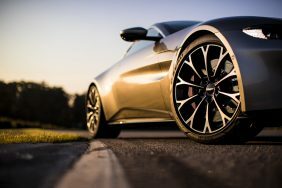 The stunning new model, with the lowest-positioned Aston Martin grille, takes the muscular, modern design language that was seen on the silver screen on the Aston Martin DB10 in the James Bond movie Spectre, and adds even more aggression and modernity. 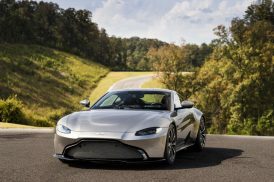 At the front is the lowest-positioned Aston Martin grille ever, and it’s not hard to see the relationship the production car has with the Bond car, including the slim LED headlights. 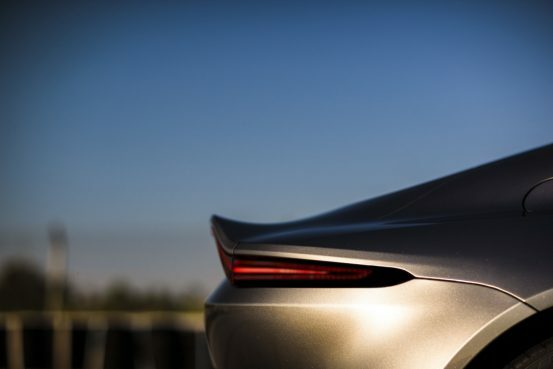 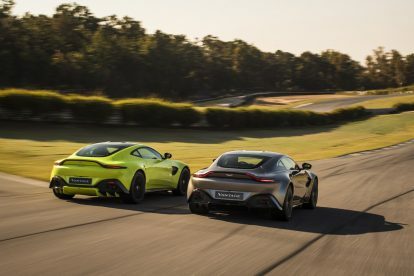 At the rear, the shapes are related but the Vantage’s is far more pronounced, featuring distinctive, ultra-slim LED taillights, and a large, aggressive diffuser, aiding aerodynamics. 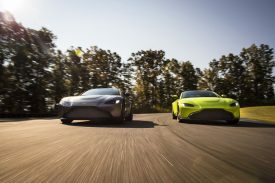 The car is characterized by its muscular flanks and short overhangs, and the large side gills—which are functional and help remove air pressure from the front wheelarches to create downforce—also give it a distinctive appearance. 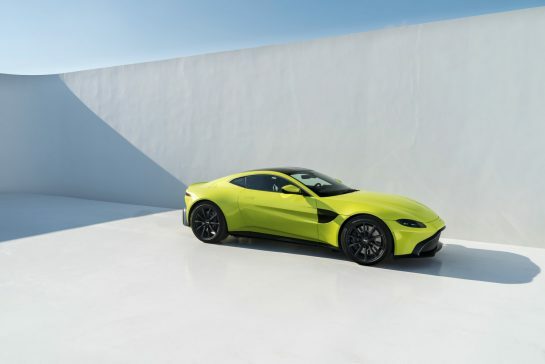 While it shares certain aspects of its design language with the more expensive DB11, it has an identity of its own, and signals that it’s a more raw, taut sports car. 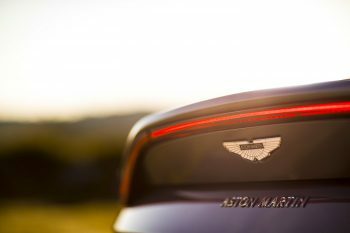 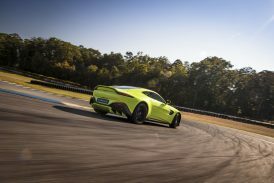 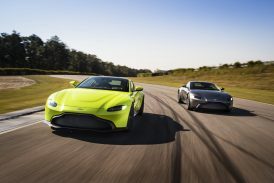 Aston Martin sees the V8 Vantage as a more credible alternative to the Lamborghini Huracán and Porsche 911. 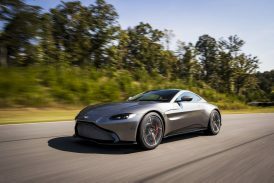 The latest model has been designed around the AMG four-litre twin-turbo V8 already seen in the DB11, but tuned to generate additional torque (maximum of 685 Nm). 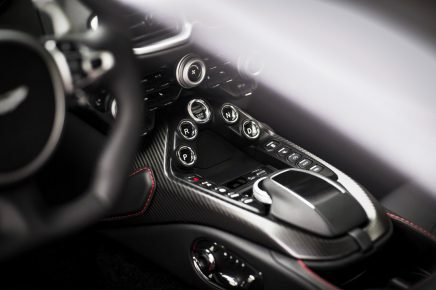 Power, delivered through the rear wheels, is at 510 PS, with CO2 output at 245 g/km. 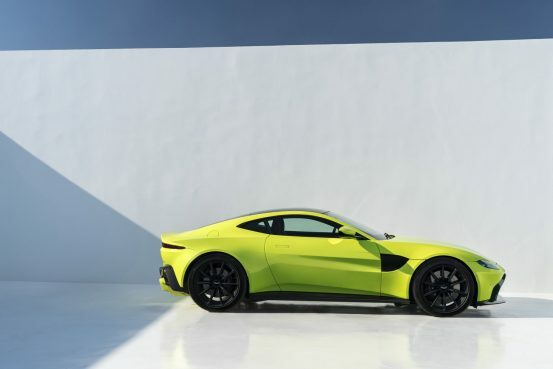 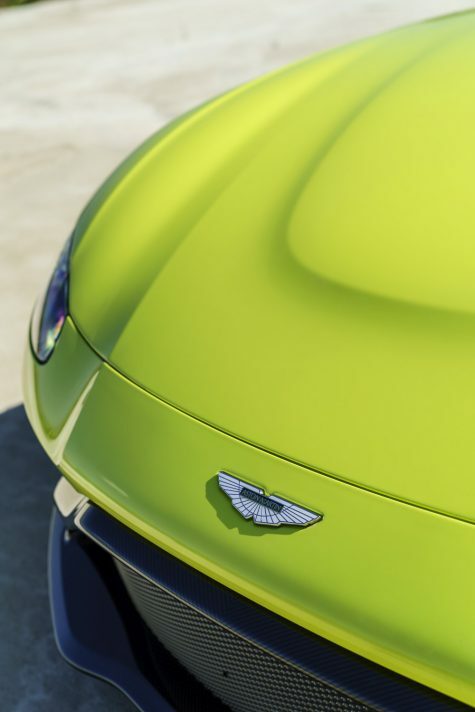 Aston Martin says the Vantage has 50–50 weight distribution. 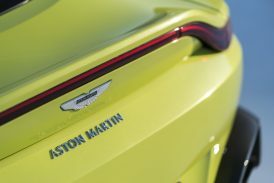 Inside, Aston Martin promises a lower driving position, which has helped improve interior room and headroom. 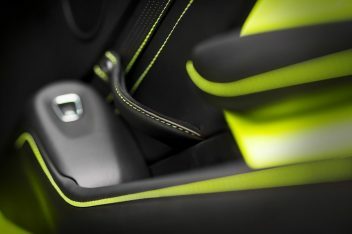 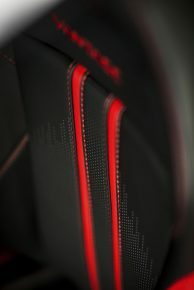 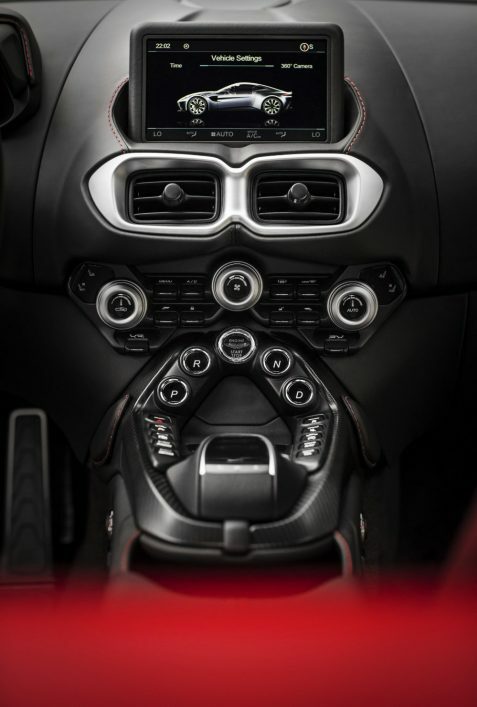 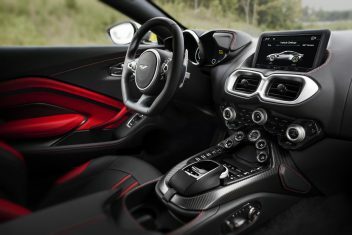 Gone is the straight push-button row of buttons for the gearshift; the buttons have now been reorganized into a triangular pattern below the air-conditioning controls, though sadly Aston Martin hasn’t bothered with a bespoke typeface like some of its rivals—the use of Arial continues to disappoint. 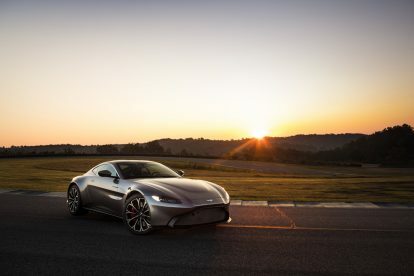 An eight-inch touchscreen brings Aston Martin’s infotainment systems bang into the 2010s—this had been one of the outgoing model’s biggest issues, given its mid-2000s origins. 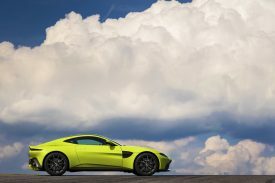 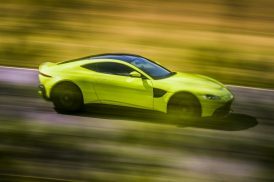 What the V8 Vantage did have, and drivers always enjoyed, was its exhaust note, something that the company says it has tuned the new car to give. 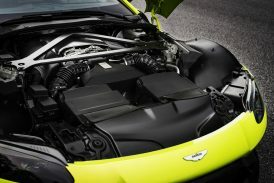 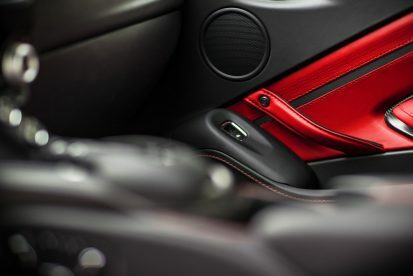 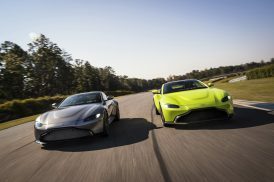 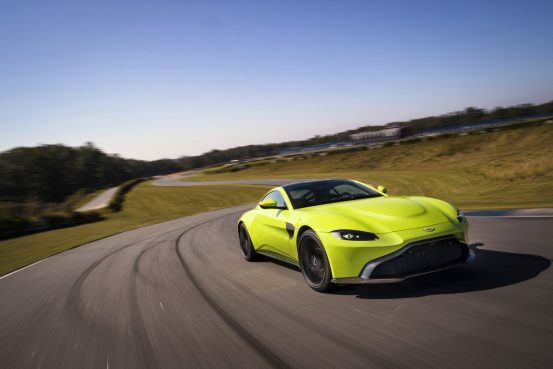 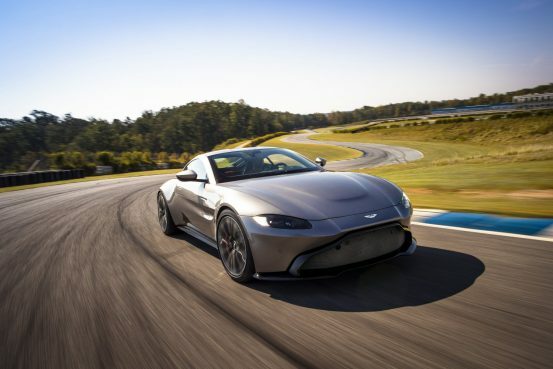 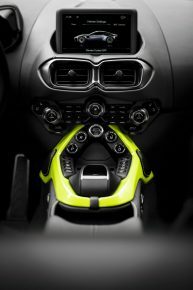 This time, the eight-speed ZF automatic transmission is standard, taking the Vantage to a top speed of 314 km/h (195 mph), with a 0–100 km/h time of 3·7 s. The paddle shifts are more optimally placed, with a more satisfying feel. 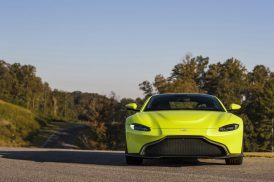 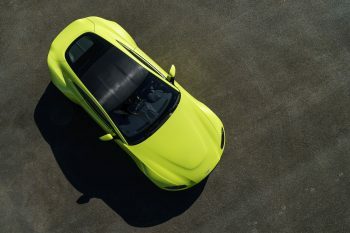 There is also dynamic torque vectoring and an electronic rear differential that’s linked to the Vantage’s electronic stability control system, promising more agility as well as straight-line stability. 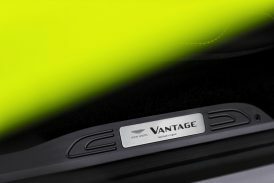 Structurally, the Vantage has a new bonded aluminium body frame related to that of the DB11. 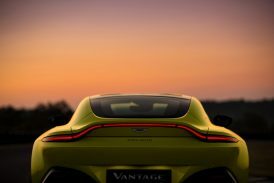 Aston Martin currently has no plans to offer a hybrid version of the Vantage. 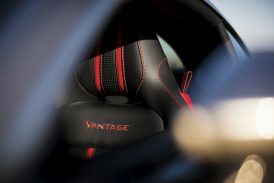 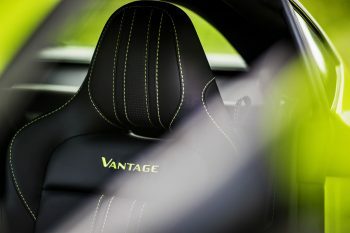 The Vantage goes on sale now, with a UK list price of £120,900, €154,000 in Germany, and US$149,995 in the US. 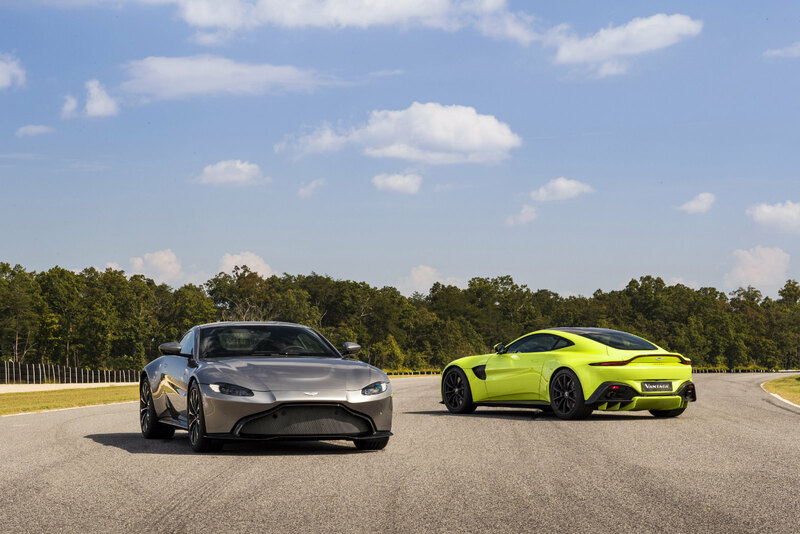 Deliveries begin in the second quarter of 2018.